KML/KMZ Import: Brings geometry from Google Earth/Google Maps into your drawing. This tool available only in Utilities for Civil 3D 2019. Pipe Elevation Adjustment: Lets you raise or lower a set of pipe segments. Style Renamer: Allows you to perform a batch re-naming of of all kinds of styles. Create Points with Offsets: Allows you to create points along a feature line with your specified offset. Profile from COGO Points: Quickly creates a profile from your specified points. Pipe Grade: Makes it easier to re-adjust the grade or slope of a series of pipes. The tool can hold the invert, centerline or crown as well as deal with drops in structures. Multi-Part Swap: Change the Family and Size of many pipes or structures on the network - all with one click. AutoOffset: A must-have for those who work with linear design along roads (strip topo) where there is a need to identify and label significant topography points (trees, structures, markers, etc.) from survey data points. The utility calculates and labels each respective point’s information in the drawing, parallel to the selected alignment, and all in a format you design. Point Station and Offset Report: This tool generates a report of points along an alignment based on parameters you define; this information can then be exported to HTML or Excel for further analysis and use. Import Maps: By utilizing data from Google Maps or Bing, you can import color, georeferenced images as well as data for tin creation and terrain surfaces within Civil 3D. Clients who have an annual or maintenance term subscription to an Autodesk product with IMAGINiT may download a free copy of IMAGINiT Utilities for Civil 3D from the ProductivityNOW Portal. Not an IMAGINiT client? 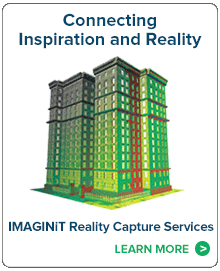 Get a free 14-day trial download of the IMAGINiT Utilities for Civil 3D. AutoOffset was one of the original tools in the IMAGINiT Utilities for Civil 3D. It allows you to automatically generate Civil 3D alignment labels containing point information as well as the selected point’s relative location to an alignment object. 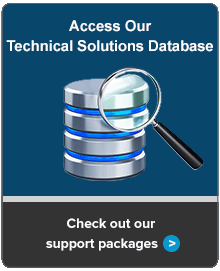 This whitepaper reviews the features in the current version as well as previous version. Due to the use of the ribbon, Utilities doesn’t have toolbars or dropdown menus. But, for those who prefer to use toolbars and menus, here’s a step-by-step on creating them. Save on future updates and gain cloud features.